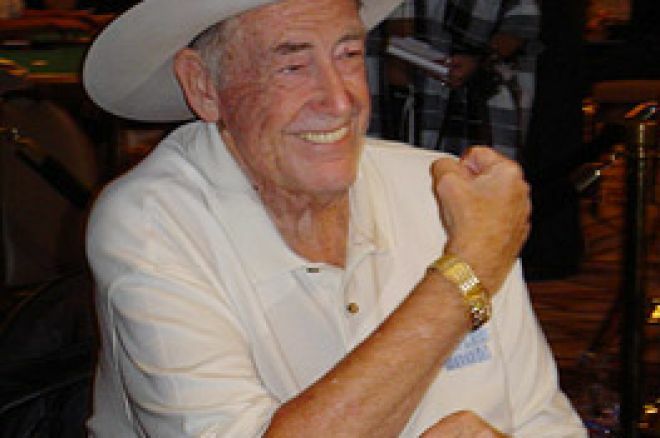 The U.S. Securities Exchange Commission investigators are looking into a group that included poker legend Doyle Brunson's unsolicited buyout offer for WPT Enterprises, Inc. have tipped their hands and look as though they are pursuing the case with full vigor. Subpoenas were issued in the case, and now the SEC has filed an action seeking enforcement of those subpoenas. Initially, when the subpoenas were issued, the Brunson team alleged they would not have to offer up key internal documents under the banner of attorney/client privilege. Friday's ruling essentially cleared the way for a hearing on the matter, though the court where the action was filed has not set a hearing date yet. In case you missed the news when the story broke back in July, Brunson's offer was made public and the stock sky-rocketed 50 percent in less than a day. World Poker Tour Enterprises (WPTE) stock hit a record-high of $29.50 per share that day, but now hovers at $6.14 per share on the Nasdaq. David Chesnoff and Chaka Henry, whose Las Vegas law firm removed the offer almost as quickly as they had made it, has declined comment on the case at the moment. The filing of this action could be another blow to the legendary Brunson, who has invoked his Fifth Amendment right against self-incrimination and has declined to participate in the investigation. According to a Reuters report, the SEC is investigating the legitimacy of Brunson's offer and whether its issuing of the offer violated securities, and anti-fraud laws. The subpoenas are set to further the investigations, as apparently the Brunson team chose to withhold certain documents and not to testify on critical pieces of the short-lived offer. If investigators have their way, the subpoenas will compel Chesnoff and Henry to testify and provide the previously undisclosed documents from the deal. A World Poker Tour spokesperson issued a brief statment on behalf of WPTE, simply saying that the 'The World Poker Tour is cooperating completely with this ongoing investigation"
Ed note: Doyle's Room is worth investigating.